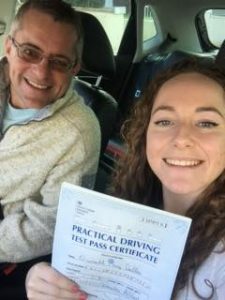 Lizzie has been having Driving Lessons in Paignton with The Driving School sw and has now passed her Driving Test. Learning to Drive with Daniel from The Driving School sw has been a great experience, Daniel has always been very patient with me which was needed as I lacked low confidence when driving. He made learning to drive very enjoyable and I highly recommend him as a Driving Instructor! Thanks a lot!